Sam Spain is preeminently rated by Martindale-Hubbell, their highest peer review rating. Sam’s practice focuses primarily on civil litigation, corporate and business law, employment law, personal injury and wrongful death cases. Sam is an experienced trial advocate and has tried cases to juries in 14 different counties in Southeast Missouri. In addition to litigation, Sam has a transactional practice, handling complex real estate and asset purchase agreements for individuals and businesses. It is his experience in these areas that puts his clients in the best position to be successful in any type of dispute. Karen Miller is a native of Fisk, Missouri and graduated from the University of Missouri School of Law in 1981. Karen is a member of the Missouri Bar, Butler County Bar Association, and admitted to practice in Missouri State Courts as well as Federal Bankruptcy Court for the Eastern District of Missouri. Karen concentrates her practice in banking law, business law, estate planning, probate, real estate and creditor bankruptcy. Her experience in handling business related matters is extensive in all areas big or small. Admitted: 1981, Missouri; 1982 U.S. District Court, Eastern District of Missouri, U.S. Bankruptcy Court for the Eastern District of Missouri. Matt Lee graduated from the University of Missouri School of Law in 2008 and was admitted to the Missouri Bar and United States District Court for the Eastern District of Missouri that same year. While in law school he was awarded the CALI Excellence for the Future Award for Law and Economics, Criminal Litigation, and Famous Trials. 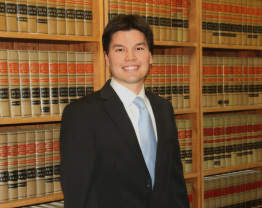 He joined the firm in 2008 after law school and became a partner in 2012. Matt concentrates his practice in the areas of insurance defense, personal injury, wrongful death, construction litigation, employment discrimination and business law. 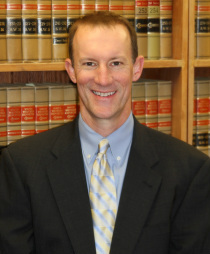 He has acted as lead counsel in numerous jury trials throughout Southeast Missouri and has procured jury verdicts in favor of his clients in all manner of disputes from employment discrimination to claims of debilitating personal injury. Jennifer Williams graduated from the University of Arkansas at Little Rock Bowen School of Law in December 2011 and was admitted to the Missouri Bar and Arkansas Bar in February and July 2012, respectively. She established her practice in Poplar Bluff and joined the firm in 2015. Jennifer concentrates her practice in the areas of divorce and child custody, probate, and estate planning. Jennifer is also a mediator, having received her certification in civil and probate mediation from the Arkansas Alternative Dispute Resolution Commission in 2012. Jennifer has also received additional training in family law mediation through the Missouri State University Center for Dispute Resolution. Disclaimer: The choice of a lawyer is an important decision and should not be based solely upon advertisements.